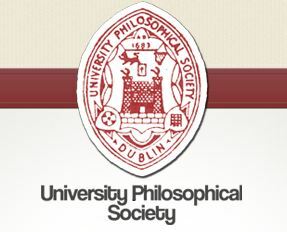 In 2009, Speaking of Research founder, Tom Holder, spoke at a debate on animal research at the College Historical Society at Trinity College Dublin (TCD) – a student debating union that lays claim to be the oldest student society in the world. On that occasion, the motion against animal research was roundly defeated – with those watching backing the careful use of animals for medical advancement. Now, almost four years later, Holder returns to TCD, to speak at a debate at the University Philosophical Society, Trinity’s other prodigious debating chamber that also claims to be the oldest student society in the world. It is great to see the question of animal research continues to be discussed in a reasoned and academic environment. Or will it? Look into your pet dog’s sad puppy eyes and turn back to your computer screen to click ‘attending’ on Facebook to this week’s debate, which will thrash out this perennial moral dilemma. Do we care enough about man’s best companion to read the labels on our shampoo bottles? Is animal testing a disgusting reflection of modern society or a necessary evil to further medical research? Perhaps the first point that will need to be spelled out at this debate is that Ireland, like the rest of the EU, has outlawed the use of animals for testing cosmetics. Holder noted in the report of the previous debate at TCD that many students were unaware that cosmetic testing was not carried out at the university. Tom will speak alongside another guest speaker (to be confirmed) against the motion. Opposing him (in support of the motion) will be: Andre Menache – Director of ‘Antidote Europe,’ and veterinary surgeon; and John Carmody – Campaigns Director for ‘ARAN,’ the Animal Rights Action Network. There will also be two student speakers on each side. The debate takes places at 7:30pm at the Graduates Memorial Building on the Trinity College Dublin campus. Posted on January 28, 2013 February 1, 2013 by EditorPosted in Campus Activism, NewsTagged animal testing, debate, the hist, This House Believes Animal Testing is a Moral Hazard, Trinity College Dublin.